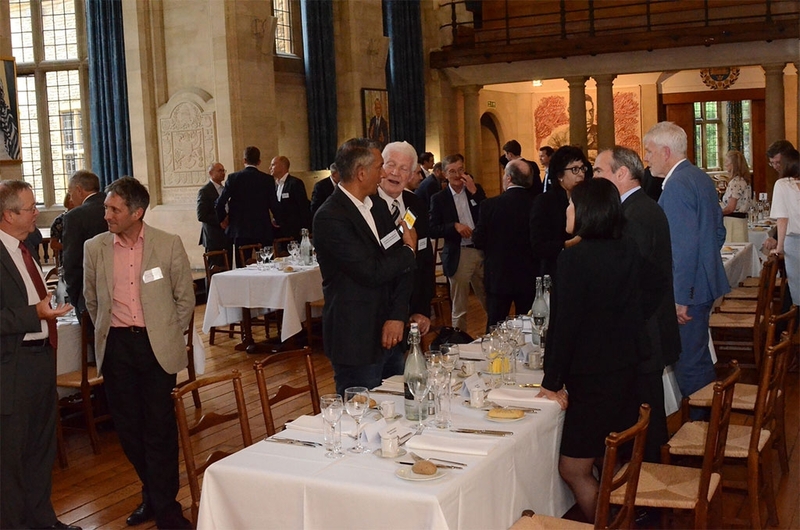 The dinner was held on July 11th at Rhodes House, a Cotswold style mansion, with Colonial influences, in the heart of Oxford. 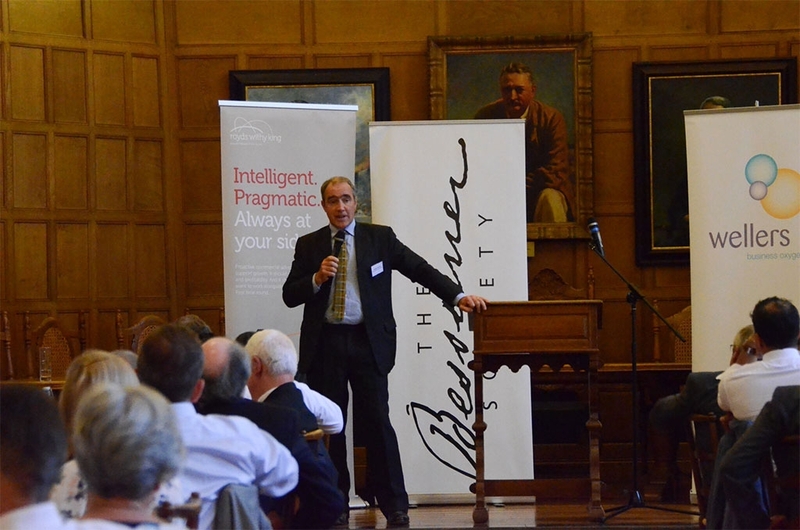 The occasion was the launch of the Bessemer Society’s Oxford chapter. 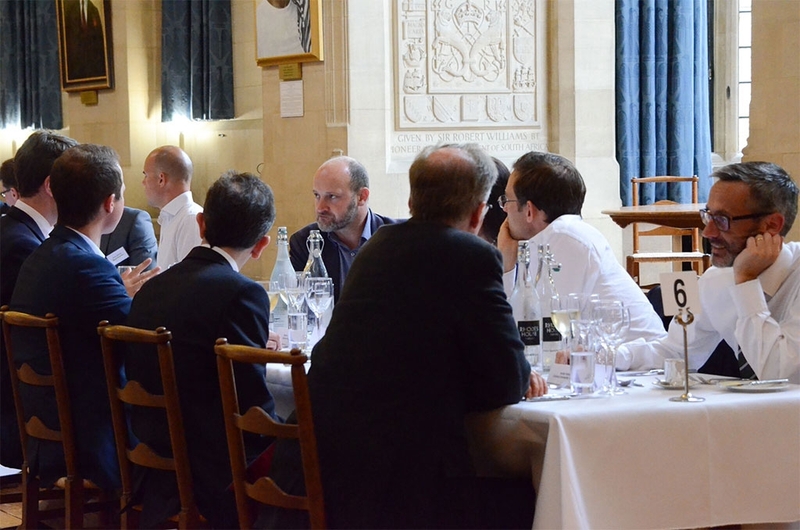 We had 50 guests, mainly CEOs and founders of start ups in the Oxford area, together with selected members of the Oxford innovation community. The Self-introductions section, plenty of good humour too. Does Oxford have a problem? 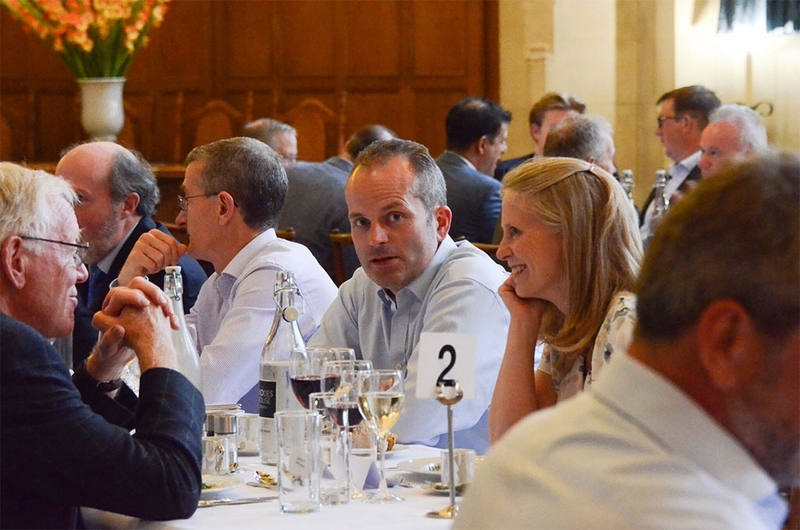 The theme of the evening was how the advent of ‘Patient Capital’ could create a step-change in the pace of commercialising technology in Oxford. It is generally agreed that Cambridge is ahead of Oxford as a technology cluster. It may be closing the gap, from a weak starting point, but many agree something still holds it back. Is it finance only, or is it a mind-set, the social and industrial infrastructure.. or some other failure in how the city and university work? Our first speaker, Prof Peter Dobson, has been a central part of Oxford’s spinout and venture community for at least 20 years. He was the prime mover behind the Begbroke Science Park. 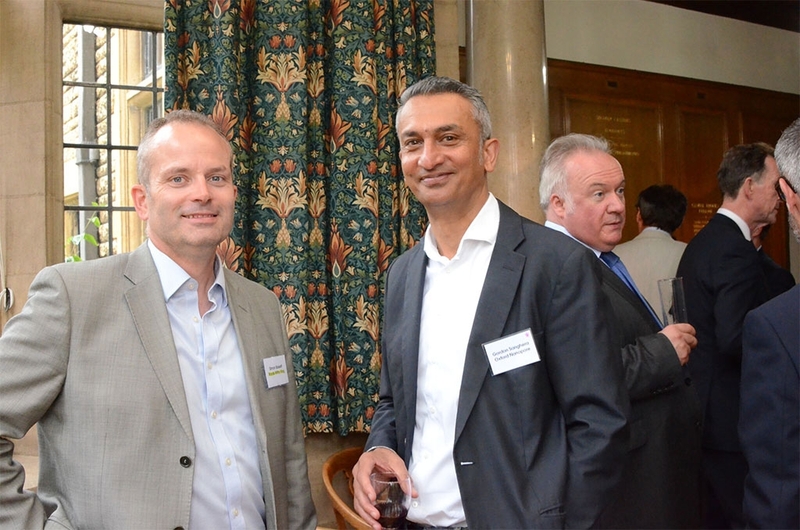 Then for many years its Director, where he was closely involved in commercialisation and spinout activity. Oxford doesn’t celebrate enough what it has, he told us. People will promote their own achievements, but the community is poor at promoting itself – unlike Cambridge. Another problem is the Science Parks are scattered and too self-contained. On the other hand, he noted, Oxford has a tremendous location advantage, being only 40 minutes to the West Midlands and about an hour from London, Southampton or Bristol. 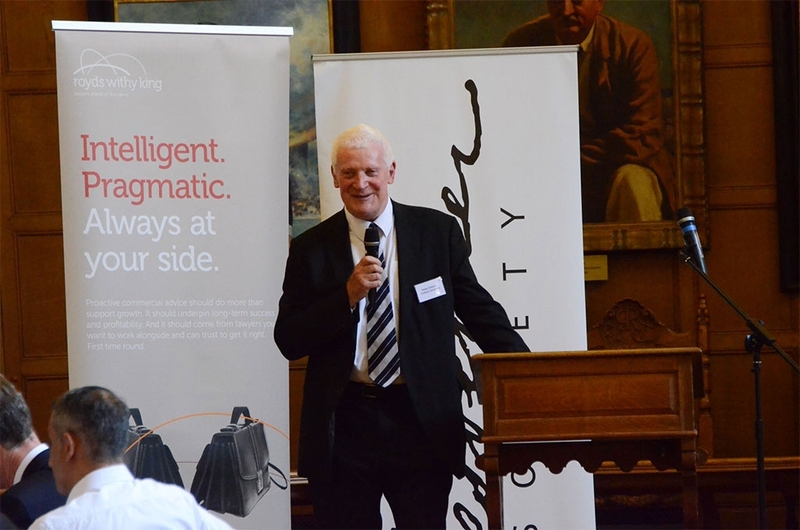 Peter is a Principal Fellow of the Warwick Manufacturing Group and is encouraging WMG’s founder and director, Lord Bhattacharyya, to establish an F1 engineering centre on the Harwell Campus to benefit from the scientific facilities on the site. 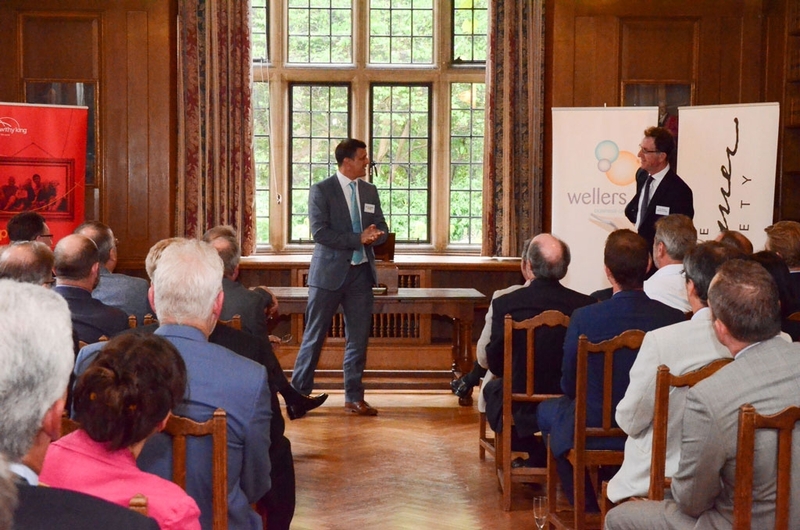 The Oxford Sciences Innovation Fund was set up on the view that the University has amazing science the commercial fruits from which could be realised if properly funded. Martin told us that OSI has so far invested about £160mil of a war chest of £580mil in 36 companies over an 18-month period. This is about three times the rate at which companies were being spun out prior to the University’s agreement with OSI. 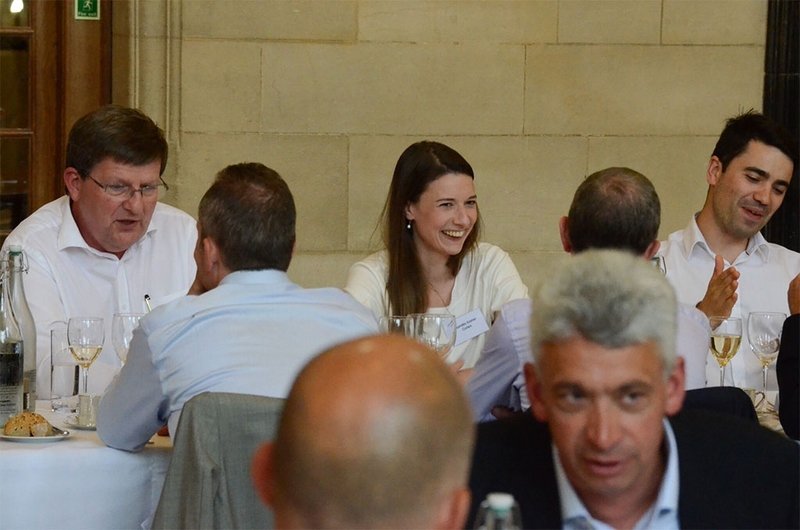 OSI’s higher level of investment is helping to attract very high calibre CEOs, including from the USA, while the promise of significant follow-on funding is giving confidence and assurance to investee companies that OSI is “in it for as long as it takes”, said Martin. Martin also notes the gap with Cambridge. 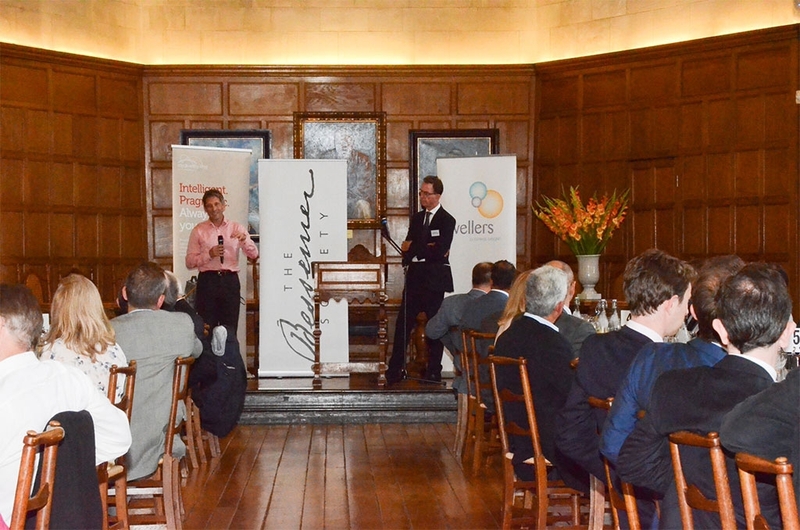 The superior amount of funding from OSI should help close it, but he sees the need for a group of private investors modelled on the Cambridge Angels where he notes membership is much more committed – both in terms of money and time given. Oxford Nanopore has raised £380mil which values it at over £1bn and makes it one of Oxford’s most talked about spinouts. Gordon packaged his talk in an easy, almost Music Hall style, with a pub type quiz to involve us, but there was always a serious undertone. 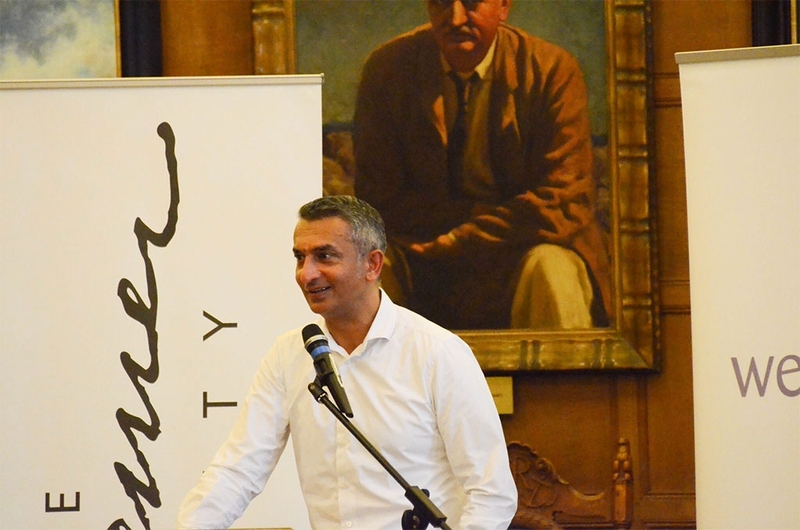 He is passionate about the need for Oxford to raise its sights. When Nanopore was spun out of the University the first thing he made clear was that relying on one university, however good, was not how to build a global business: it had to form licensing agreements with all of the leading institutions around the world and establish a global platform. He is immensely proud of what they have developed: the only portable, real time device for DNA and RNA sequencing, which he handed around the guests to inspect. Palm-sized it can sequence 5-10 Gb of DNA data. In the discussion which followed two themes dominated: the ambition to manufacture, and allied to it, how to scale and raise finance. An American guest asked, is the problem an absence of finance? “No, look at Oxford Nanopore”, said Gordon. “We have investors lining up to give us more money”. It may be a mindset, but entrepreneurs rarely lack confidence, as evidenced by younger founders among the guests, they just make mistakes as one of them pointed out. This is through lack of experience and connections, which is a perfect reason to be part of the Bessemer Society. Gordon pointed out that Nanopore could manufacture in UK, but anywhere else too. How much desire does the UK government have to support manufacturing he asked, not just money, but actual commitment, just as in other countries that aim to be centres of advanced manufacturing. How far will the new Industrial Strategy embrace this vision of Britain as an advanced manufacturing nation…? Up the road in the West Midlands, or down the road in South Wales, were people with the skills, and the costs were not really the issue any more. 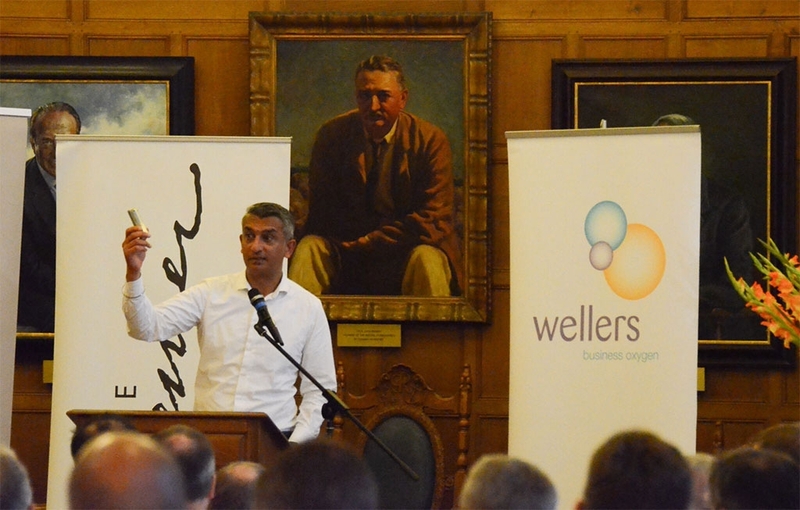 In Oxford, if manufacturing receives support there could be the ‘perfect storm’ he declared – R&D, finance, and manufacturing. This would make Oxford both a hub and a hot spot, and finally in a position to pull ahead of its old rival, Cambridge. This is amazing. Gordon holds up Nanopore’s DNA profiler.